Is Lower Back Pain a Symptom of Poor Posture? One symptom of poor posture is lower back pain. 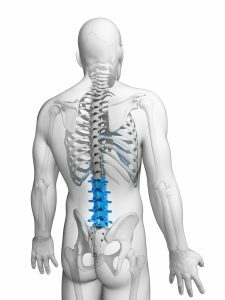 Of course, there can be multiple reasons that your back aches and a lot of those depend on your individual structure, genetics, and life history. I generally recommend that clients consult a physician and receive any necessary imaging to rule out lower back pain causes that require medical intervention prior to engaging in bodywork or exercises targeting their symptoms. But if you’ve been to the doctor for a thorough evaluation only to be sent away with a shrug and a prescription for pain pills you don’t want to take, you’re certainly not alone. Physicians are wonderful at what they do and have my utmost respect for their ability to address life-threatening conditions, but unfortunately the conventional medical approach to treating back pain often leaves something to be desired. 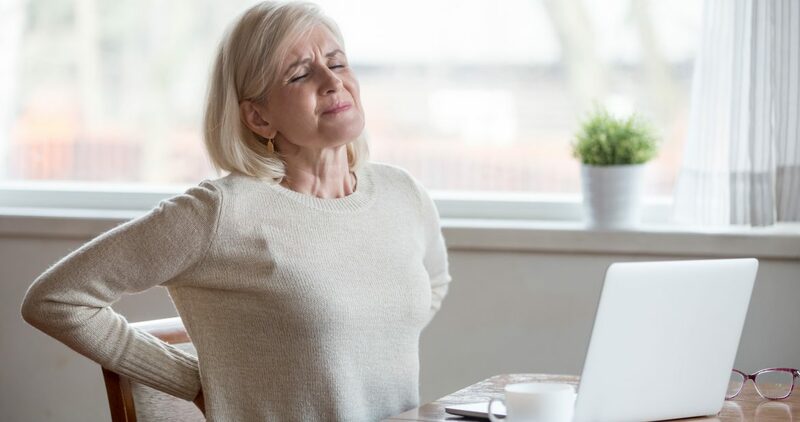 While doctors typically rely heavily on their two heavy hitters—drugs and surgery—to treat a variety of conditions, not every case of back pain needs to be addressed in this way. Non-specific lower back pain—that is, lower back pain of indeterminate cause—typically results from one of two issues in the spine: a lack of stability or a lack of mobility. These are actually two sides of the same coin. Where your body is not properly supported—a lack of stability—there will be additional tension to compensate, resulting in reduced mobility. 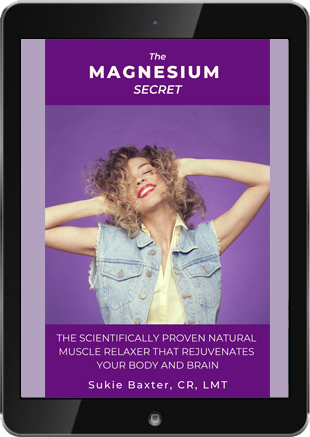 In order for your body to function optimally, you must have adequate support. Your body is an incredible feat of engineering, a system of levers and pulleys more complex than any machine we could ever hope to create. Each tiny joint in your body supports a system of joints above and below it. Irregularities in movement in one tiny area of the body can affect the functioning of everything else. Your sacrum—a large, triangular bone at the base of your spine consisting of fused vertebrae—fits into the pelvis much like the keystone of an arch. If the two pelvic bones are imbalanced, they will torque the sacrum, putting strain on your sacroiliac joints (the points at which your sacrum connects to your pelvis) and causing lower back pain. The five vertebra that make up the portion of your spine in your lower back—your lumbar vertebrae—are particularly prone to shifting and torquing as a result of poor postural habits. In fact, if there are twists in your body, they almost always show up in this area due to the lack of bony support between the bottom of your rib cage and the top of your pelvis. Your lumbar spine is designed to allow ample movement in forward, back, and side bending1. Because one of the primary functions of the lumbar spine is stability during load bearing, the surrounding muscles are vulnerable to compression from sitting and gravity, as well as compensation for postural restrictions elsewhere in your body. 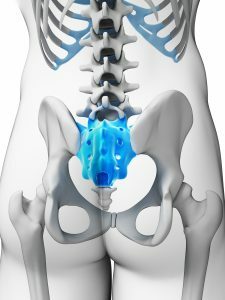 Additionally, if you suffer from the rampant occurrence of tight hips that’s so common in urban professionals who spend a lot of time in front of computers or commuting in cars, your spine is doing some heavy lifting that it was never intended to assume. If your hip joint is so restricted that your femur moves only a limited amount in the joint, then your thigh bone and your pelvic bone effectively function as one single unit—as though there were no joint in your hip at all. Thus, to move your leg, the muscles of your lower back have to pick up and swing your entire pelvis and thigh forward, doing the job that’s supposed to fall to bigger, more powerful muscles like your quadriceps, glutes, and hamstrings. Over time and thousands of steps per day, this causes tightness and rigidity in the muscles supporting your spine, and finally pain. It can even cause structural issues and inflammation in surrounding joints, like your sacroiliac joint. Use the following exercise to reduce muscle guarding and tension around the hip joint, which helps to restore normal function to the lumbar vertebrae of your spine. 1. Lie on the floor or on a yoga mat, face down. Bend your knees so that your feet are pointing toward the sky. Let your feet be relaxed. 2. Cross your feet right over left, and then cross them in the reverse, left over right. Repeat this movement, increasing the speed. The movement should be relaxed and free, not controlled. What you’re doing is using the momentum of your feet to roll your thigh bone in the socket and warm up the joint. The more speed you add, the less you’ll tend to control the movement and the more mobility you will encourage. 3. Once you’ve completed around fifty repetitions, lower your legs so that they’re flat on the floor again. Now we’re going to initiate a twisting movement for the lower back, opening up the front of the hip as well. Please note, if at any time you experience pain with twisting, make the movement smaller until you no longer feel the pain, or stop completely. You should have no sharp pain or muscle spasms with this practice. 4. Bend your right knee so that your right foot is toward the sky. Imagine your right knee floating up off the floor, and twist your leg and hip so that your right foot reaches across your back, opening up your hip and touch your right foot to the ground on your left side. Allow your body to roll and open up as you do this. Only go as far as is comfortable. 5. Switch and bend your left knee, floating the knee and thigh off the floor, reaching across your body to touch your left foot down on your right side. Use as little effort as possible to lift the leg and reach across to the other side. Sometimes it’s helpful to imagine a string pulling your foot toward the sky, across your body, and to your other side. See how much tension you can let go of and still complete the movement. The goal is to make this as effortless as possible. Complete about ten to twenty repetitions of this practice toward either side. For more movement practices that help reduce muscle guarding and tension and alleviate common, painful conditions like lower back pain, get Perfect Posture for Life, my ebook that goes covers posture correction in-depth. Click here to order the ebook. 1. Calais-Germain, Blandine. Anatomy of Movement. Eastland Press, 1993. Print. I just have to order your book! Thanks, Fritz, let me know how you like the book!